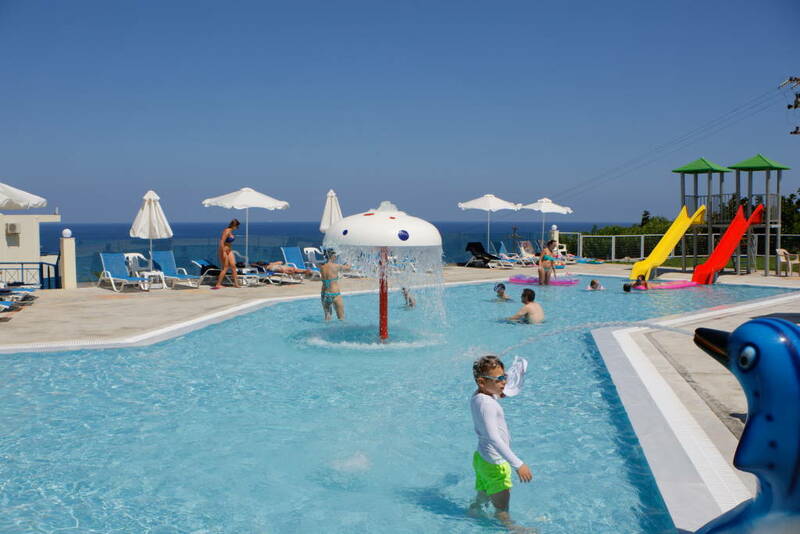 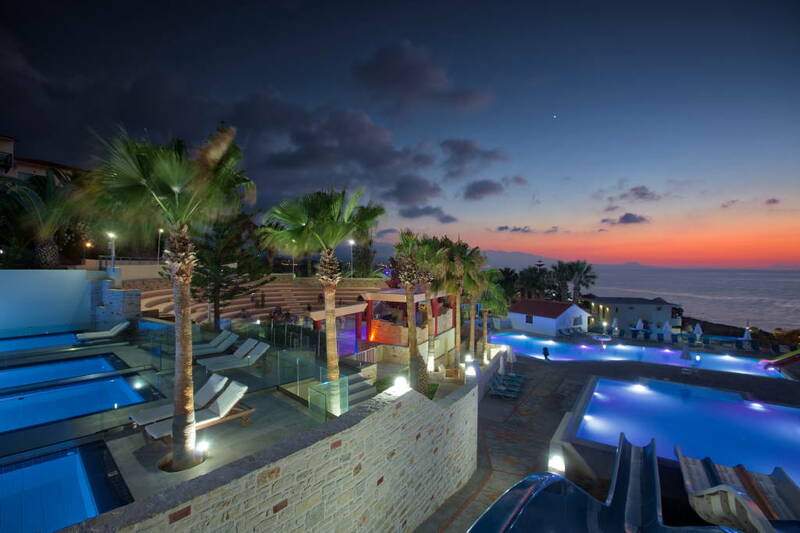 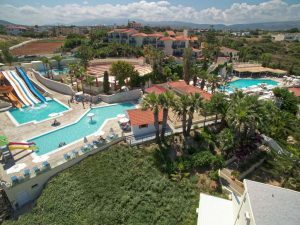 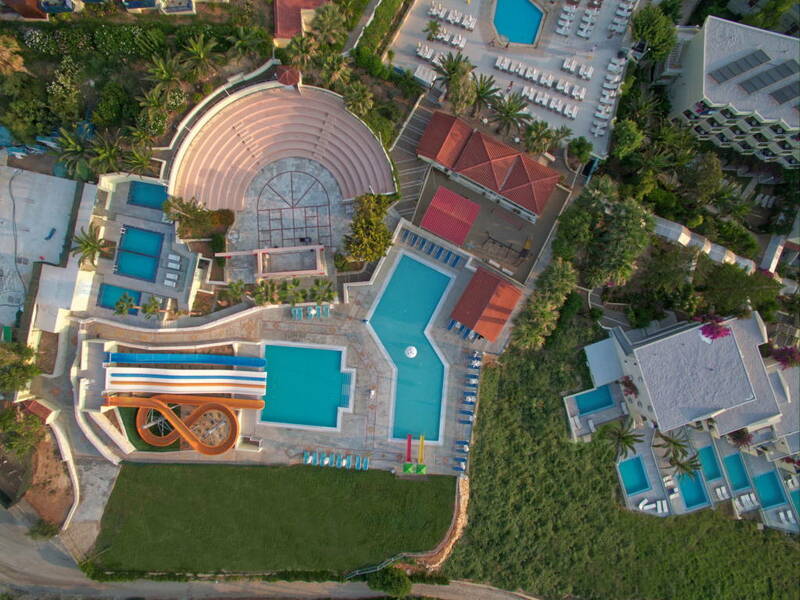 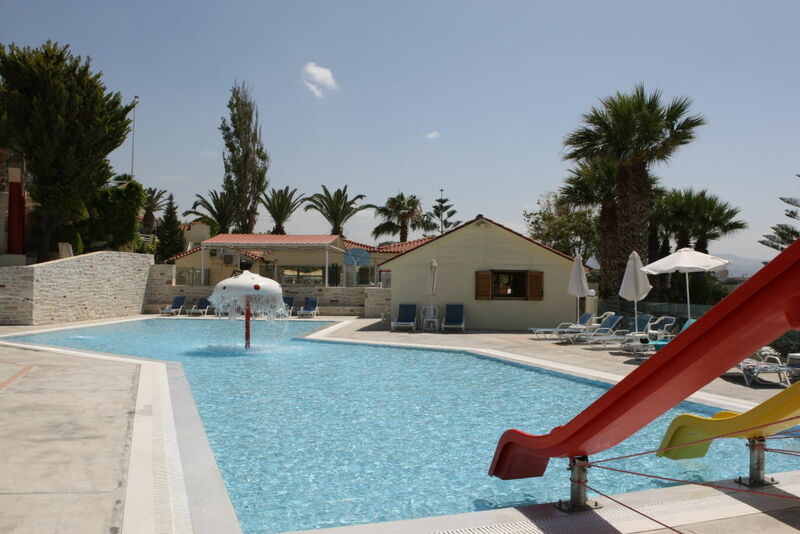 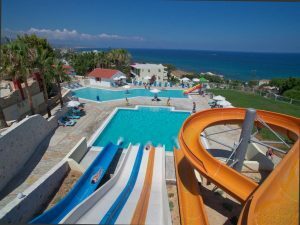 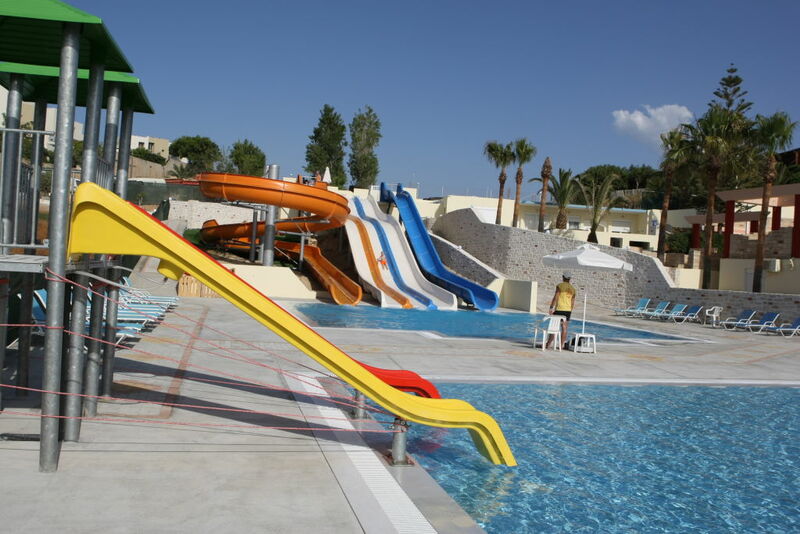 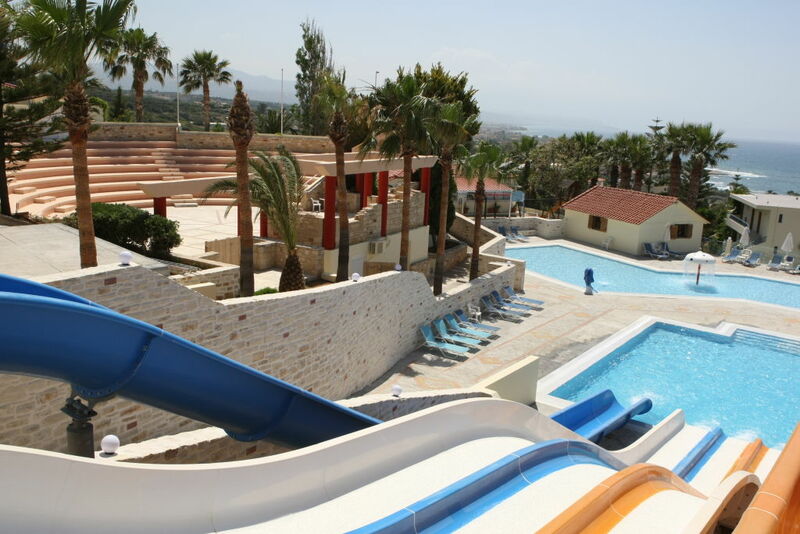 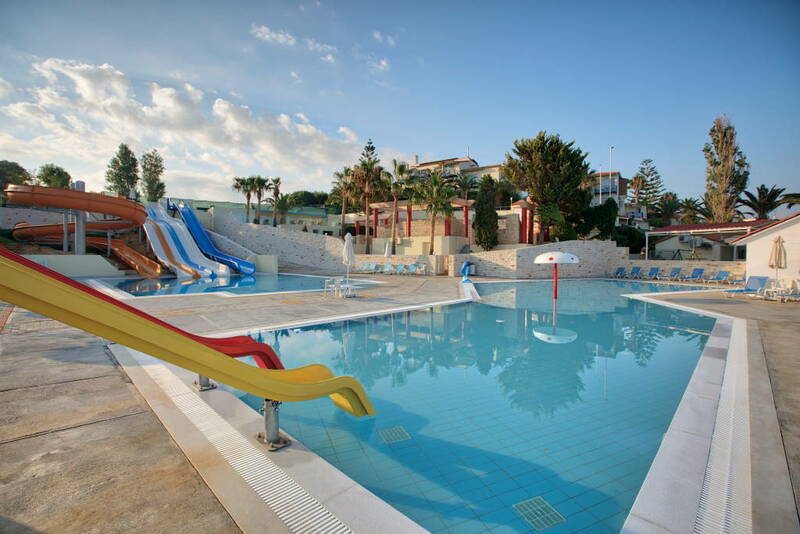 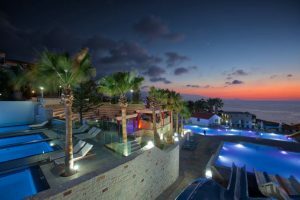 We are excited to provide you with a marvellous Water Park which offers all our guests, children and adults alike, wonderful moments of coolness and relaxation. 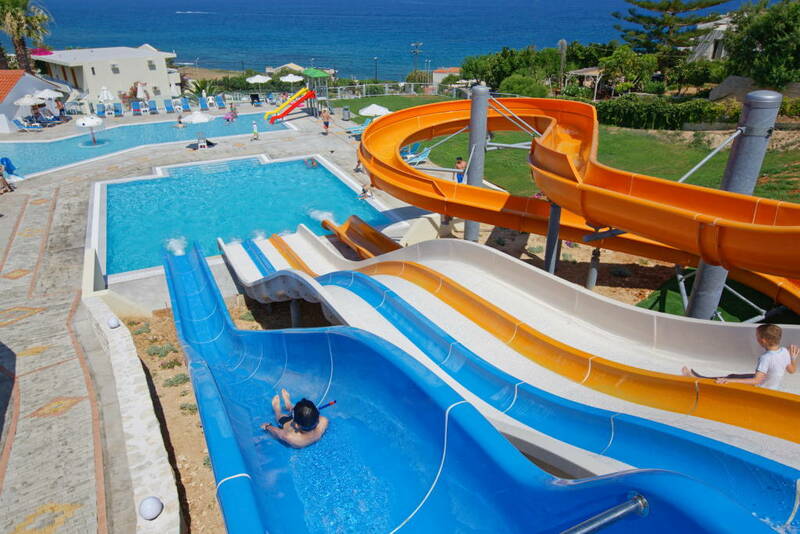 Along with the spectacular view of the vastness of the Cretan Sea, you are able to relish aerial water rides. The Water Park complex consists of the 130 sq.mt pool for adults into which five colorful Water Slides -a Rafting one, a Free Falling one and between them a three-canal Multi Slide, dive. 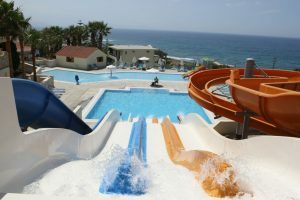 The Water Park complex also includes a 178 sq.mt swimming pool with two children-size Slides in front of which towers a Giant Mushroom with it’s waterfalls splashing on to a beautiful small dolphin.